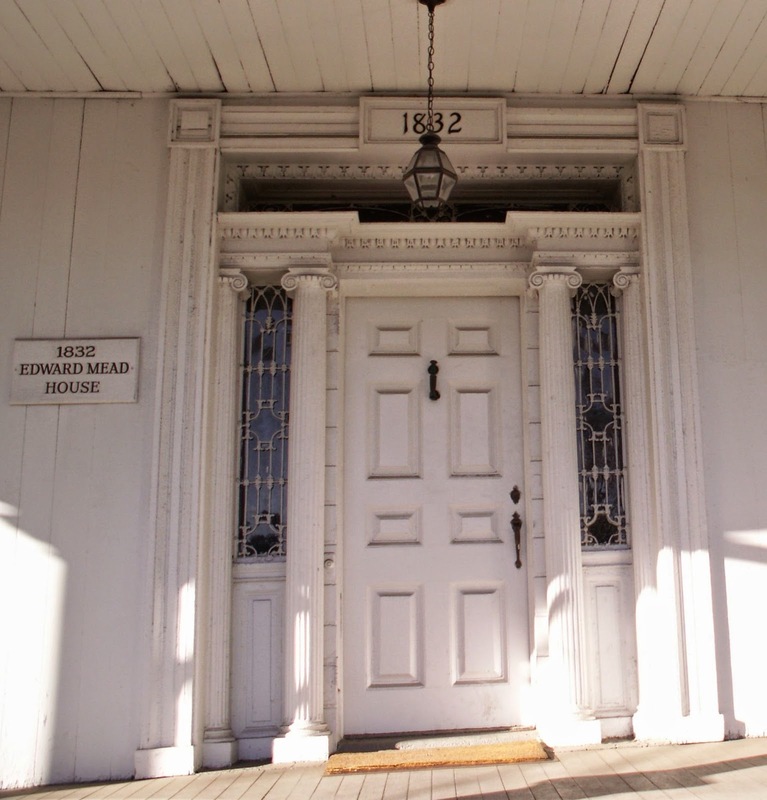 The Edward Mead House dates from 1832. This Federalist gem is at the top of Indian Field Road and East Putnam Avenue. Both he and his wife Susan A.E. Mead are interred in the New Burial Grounds Association Cemetery. This is the cemetery next to the Second Congregational Church in Greenwich. Edward was the son of Robert Mead (Nov. 22, 1768-Apr. 30, 1836) and Prudence, daughter of Joshua Mead (May 15, 1775 and died Sept. 23, 1849). He was born June 22, 1809 and died October 28, 1885. On December 24, 1832, Edward married Susan A.E. 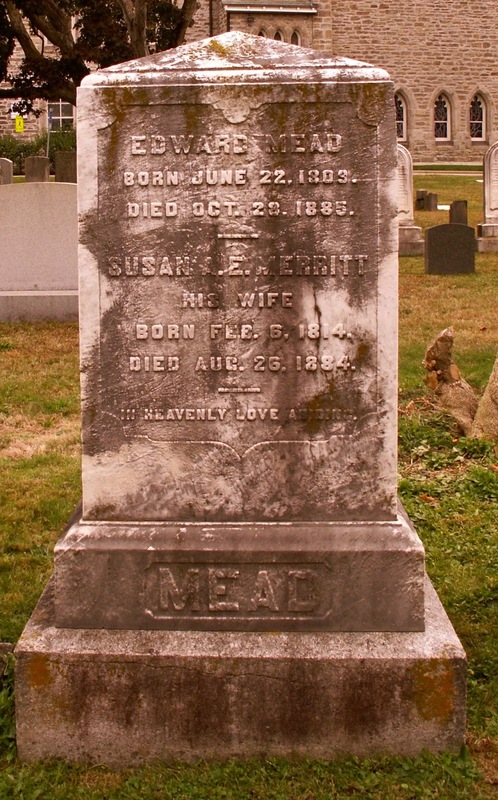 Merritt, daughter of Capt. Daniel Merritt (February 6, 1814-Aug. 26, 1884). Since the house dates from 1832 and Edward and Susan A(melia E(lizabeth) were married on Christmas Eve that year the house was probably a wedding present of sorts.